Having consulted and collaborated with teams and NGOs in more than 30 countries and with Native American tribes… Johnny brings supportive, environmental, and ecological ethics and understanding to team efforts. Johnny responds timely to government, NGO, non-profit and enterprise requests and will work closely with you to determine the viability of your project. He will then help design and assemble the professional team, and specify the equipment required to bring your solar vision into reality. In addition to technical expertise, clients benefit from his comprehensive approach to problem solving. Johnny engages and educate clients with the skills and knowledge needed to create and maintain successful, community-supported solar projects. 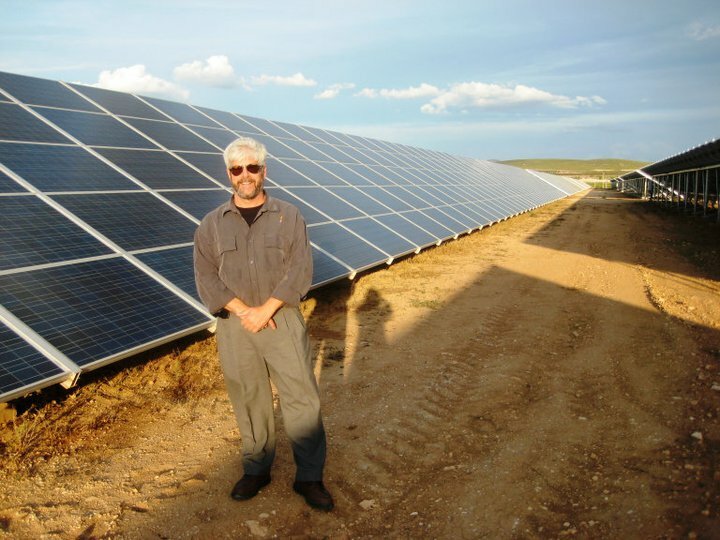 Johnny touring solar installations in Spain. It’s been over 14 years since you hired me to work at Solar Energy International. You were a wonderful boss and teacher. You continue to amaze and inspire me with your passion for renewable energy and your desire to make a difference in people’s lives. Johnny knows it all, and he knows everybody who’s anybody in renewable energy. Time spent with Johnny is up-time, down-time, and sideways. He’s one of the funniest people I know. He’s always a pleasure to work and play with. Johnny Weiss, co-founder of Solar Energy International, has helped make SEI a world-class renewable energy training organization. Whether you are a solar industry professional or a do-it-yourselfer, it is the place to learn the latest installation techniques and get hands-on, unbiased training.